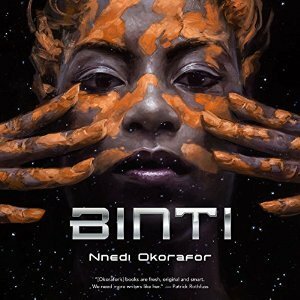 What follows is, for me, the good parts of a Heinlein juvenile, as Binti has to learn how to communicate with her captor, find out what they're after, and come up with a way to convince them that attacking Oomza University isn't the best way to get it. This is a lot of fun, and I thoroughly enjoyed it. It deserves its Hugo nomination. I bought the Tor.com Collection Season One audiobook that contains this story.